We invite you to contact us today to discuss your cat’s care.Call us at (301) 540-7770. Click here for helpful information about general feline wellness. A Cat Clinic is proud to serve Germantown, Gaithersburg, Rockville, Clarksburg and surrounding areas. We are dedicated to providing the highest level of feline veterinary medicine along with friendly, compassionate service. If you have any questions about how we can care for your cat, please don't hesitate to contact us or call us at (301) 540-7770. Thank you! Spring IS just around the corner, and we have good news for our cat patients who need all-in-one parasite prevention! Revolution Plus is here! 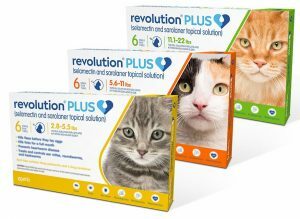 Revolution is a great product for many indoor cats. But if your cat goes outside on occasion, or if you also share your home with a dog, ticks may be a concern for you. Previously, you had to combine products for control of all the parasites we worry about with our kitties. But Revolution Plus controls fleas, ticks, heartworms, ear mites, and intestinal parasites. 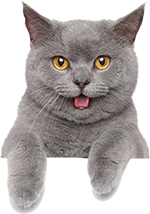 So call us today to schedule your cat's check up so you can start Revolution Plus parasite prevention!